After recently reviewing the new 2nd Gen Ryzen 2600X and 2700X with XFR2, AMD sent us the more affordable 2600 and 2700 CPUs to check out. Although these new non-XFR CPUs run slower clocks, they are AUD$80 cheaper and have the same number of cores/threads to do your bidding. 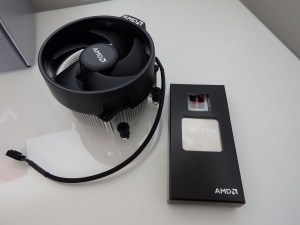 In the past, we’ve seen the Ryzen 1700 non-XFR CPU deliver solid overclocking potential and great value so we had high hopes for the next generation and were not disappointed. Ryzen Gen 2 without the X-Factor? That’s right, these 2600 and 2700 Ryzen 2nd Generation CPUs are less eXtreme than their counterparts so let’s get the differences out of the way and move on to why the Ryzen 7 2700 and Ryzen 5 2600 CPUs present great value to PC enthusiasts. The ‘X’ in the naming convention basically denotes a RYZEN CPU that has XFR -eXtended Frequency Range. 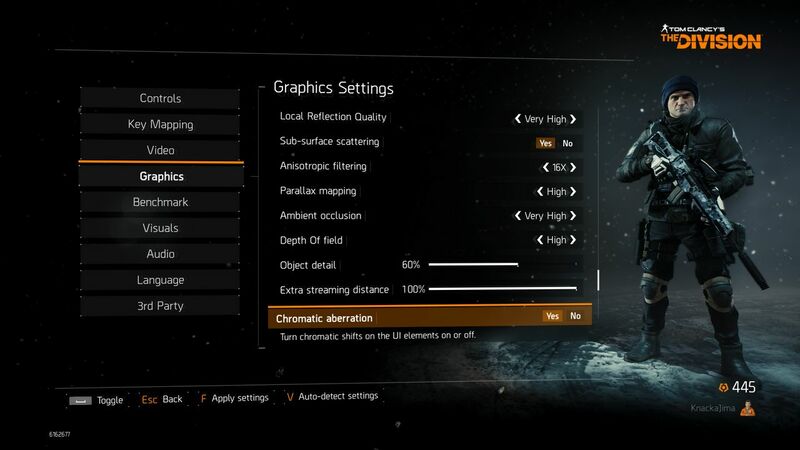 This means that the 2600X and 2700X will automatically overclock a little if the thermal conditions are optimal. 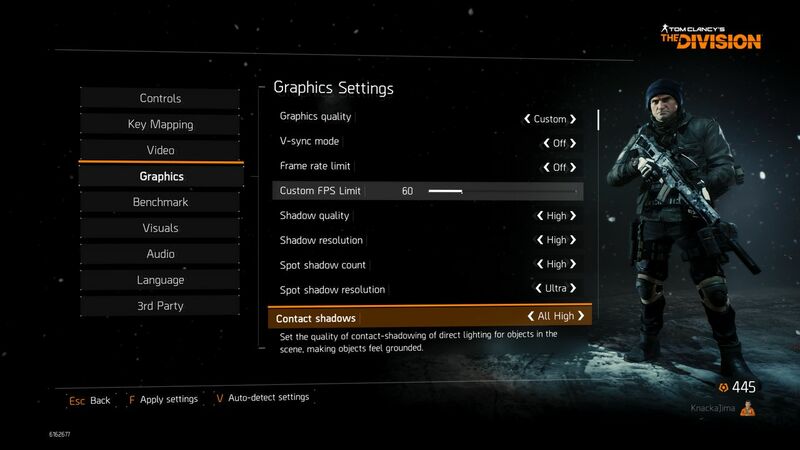 They also run at higher base and boost clock speeds than the non-‘X’ models. Essentially, ‘X’ series CPUs are better binned and guaranteed to perform better out of the box. They are also more expensive for this reason. So what’s the compromise for the $80 difference in price between the 2700/2700X and 2600/2600X? 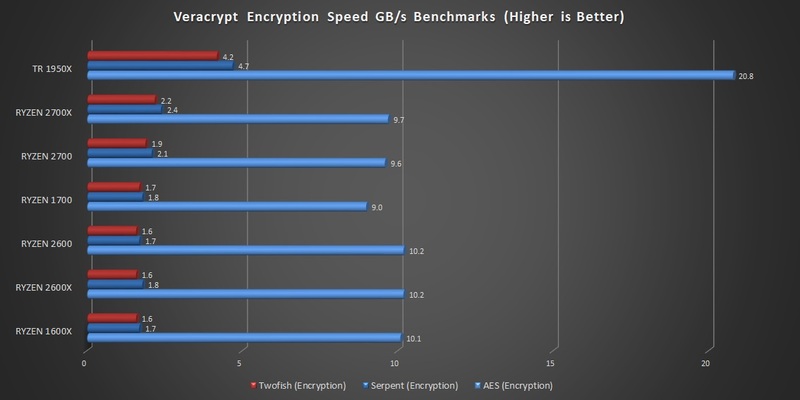 The table below shows the vital statistics and it comes down to clock speed. We tested them head to head and it got really interesting when we overclocked the Ryzen 2600 and 2700 CPUs but more on that later. As you can see there is a clear clock speed ‘step up’ from the 2600 and 2700 to the 2600X and 2700X but when compared to the previous generation, the 2600 and 2700 CPUs are still faster in this regard. The other key thing to note is that the second generation Ryzen CPUs have Precision Boost 2 which applies a clockspeed increase across all cores to deliver more generous performance than the first generation Ryzen CPUs. As with all Ryzen CPUs, these are unlocked – meaning that you can overclock them so long as your motherboard chipset allows it. For context, we saw some great results with our first generation Ryzen 1700, overclocked (across all cores) to 3.9 /4.0 GHz last year. 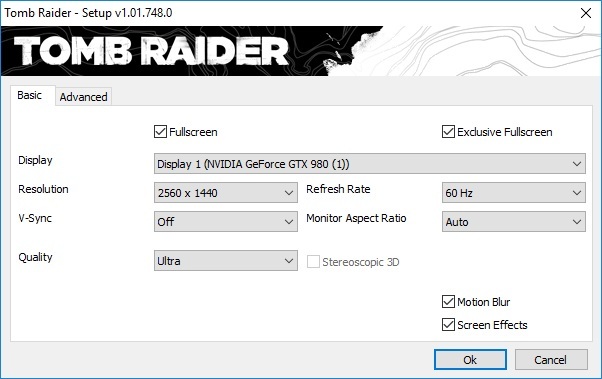 The overclock was 100% stable at 3.9 and ran that way for a year of use. This presented great value for the price point at the time and has given us high hopes for the Ryzen 7 2700 in particular. Memory support was also finicky for the first Generation of Ryzen CPUs and has seen significant improvement for the 2000 series CPUs with ‘standard’ Jedec support of 2133, 2400, 2667 and 2933MHz but we also saw support from ASUS, ASRock and Gigabyte in our testing for up to 3400MHz. 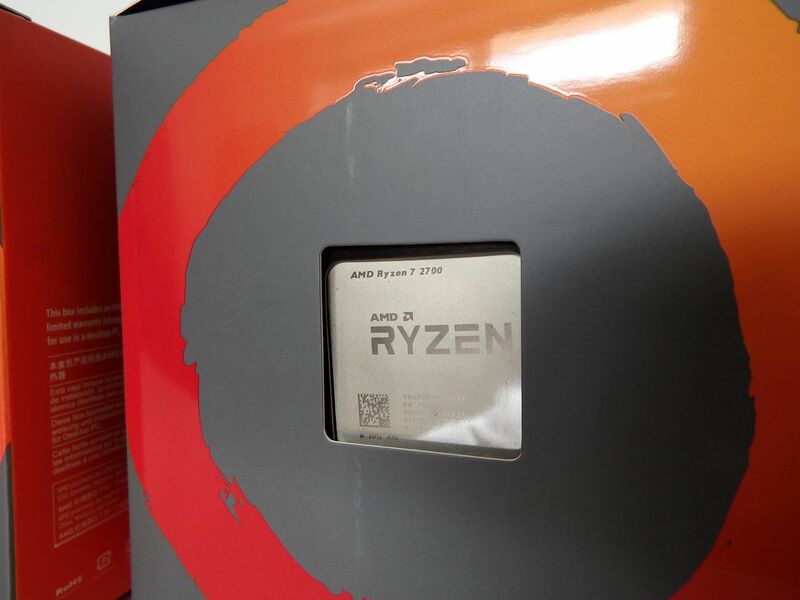 The packaging is the same as the previous generation of Ryzen Processors. If you are collecting these from a store, make sure you inspect the label and CPU window to ensure you have the correct model. Recap: What is “Zen+” ? The second generation of RYZEN CPUs are built using a 12nm GLOBALFOUNDARIES LP (“Leading Performance”) process. 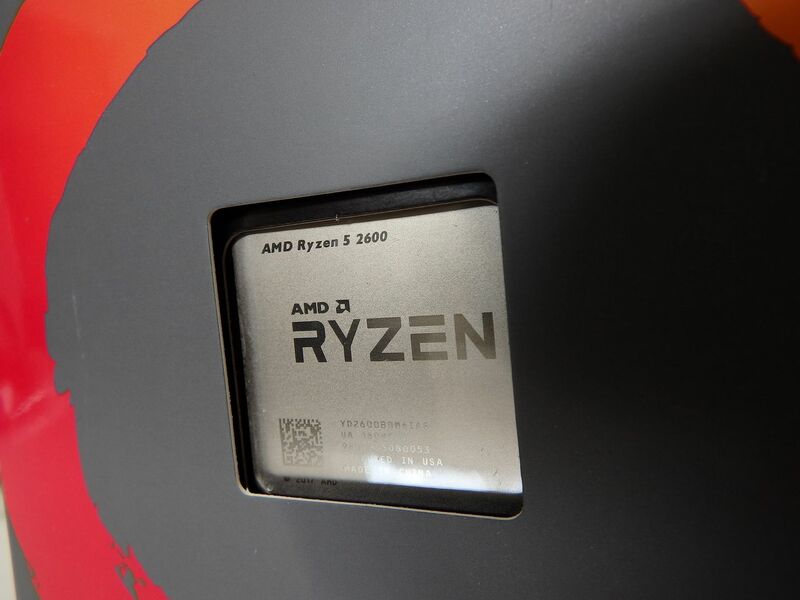 AMD states that “This process offers transistor performance that is 10-15% better than preceding nodes, which extends the clock speed range of the Ryzen design and reduces the current at all points along the V/f [Voltage/frequency] curve.” The impact on IPC performance is touted as a modest 3% increase. The main advantage of Ryzen to date has been core/thread count but with this tweak to IPC performance make the CPU more competitive in single threaded applications while adding to its ‘strength’ in multi-core performance. This change helps to explain the increase in clock speed that we see in the specification table, above, compared to the previous generation but also the improved performance with regard to multiple core boosts and all-core overclocking. In the conceptual diagram from AMD below, you can see that the Precision Boost 2 curve allows more threads to function at higher clock speeds at a gradually reducing rate than Precision Boost allowed in the first generation of Ryzen CPUs. The area in between the yellow and orange lines represents the extra performance potential of the second generation Ryzen CPUs in multi-threaded operations. Our testing shows the improvement over the previous 1700 and 1600X CPUs from the first generation Ryzen series. Zen+ also delivered reductions in L1, L2, L3 and DRAM Latency while increasing single-threaded IPC performance and adds official support for JEDEC DDR4-2933. These improvements are good news for gamers in particular but any performance-hungry PC user will benefit from the 2nd Gen RYZEN CPUs. Despite the change to the manufacturing process and some welcome tweaks, the underlying microarchitecture is essentially the same. Each Core Complex (CCX) package contains 4 cores/8 threads – AMD have incorporated 2 CCX packages with a shared cache. This is why the Ryzen Master application requires cores to be disabled in pairs and not individually. 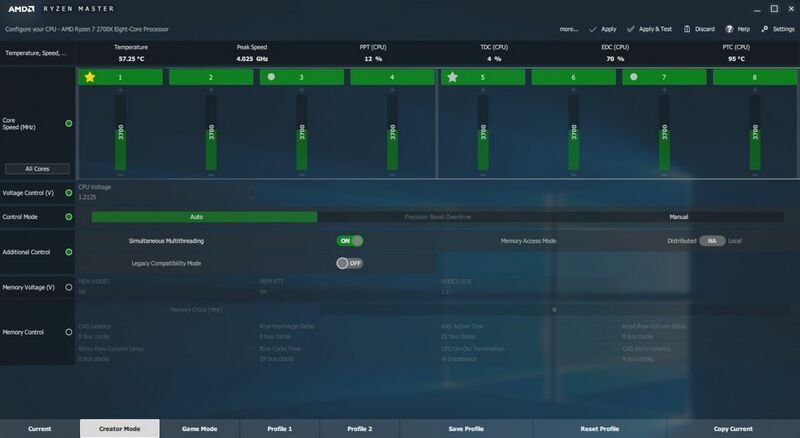 DDR4 Memory support is officially rated up to 2933MHz and Dual Channel we but have already seen this number climb and our test platform was rocking along with a GSKILL SNIPER X 3400MHz 2x8GB kit on an XMP profile without any issues at all. We also successfully tested a kit of HyperX Predator RGB 2933MHz 4x8GB. The cache is broken down as a 64KB (instruction) and 32KB (data) for Level 1 with 512KB dedicated L2 cache per core then an 8MB shared L3 cache that is accessible by all 4 cores of the CCX package (this expands to 16MB shared cache as 2 CCX packages are in use). The CCXs use an interconnect called Infinity Fabric that allows the Zen architecture to scale and integrate to other AMD technology in the chip. 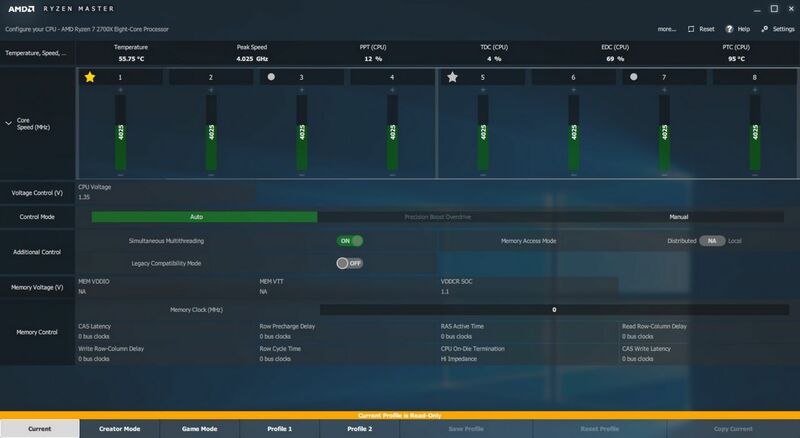 In the example of Ryzen CPUs we see Infinity Fabric connecting 2 CCX packages and in the recent Ryzen with Vega series (2200G and 2400G) we also saw it used to merge a single Ryzen CCX with Vega graphics. The pre-fetching algorithms were designed and implemented to enhance the throughput of the cache and execution engines. 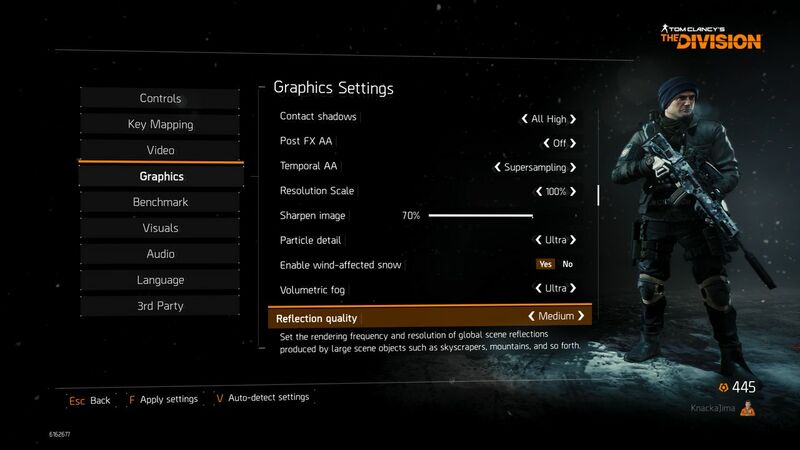 AMD SENSEMI technology has the task of monitoring and managing the power/thermals of the processor. 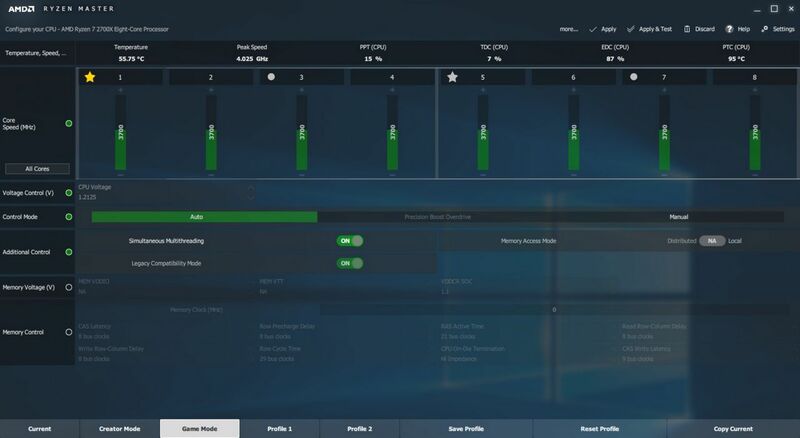 AMD breaks the explanation down to Pure Power, Precision Boost, Extended Frequency Range (XFR – designated by an X suffix on the model number), Neural Net Prediction and Smart Prefetch. 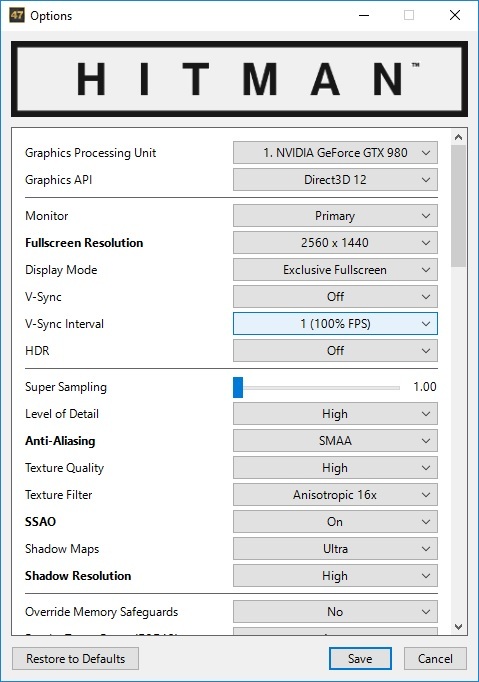 The RyzenMaster application has also had some work done. 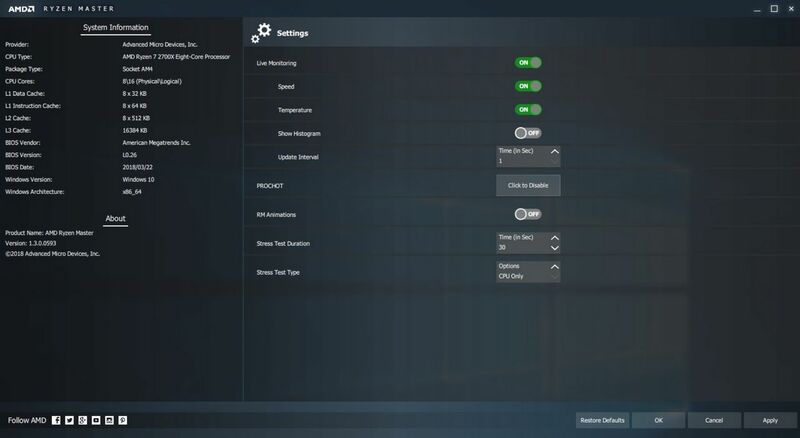 In version 1.3, The Ryzen Master application has some new features to help us understand how close to the limits our Ryzen processor is operating and therefore, how much headroom we have to increase the performance. – Package Power Tracking (PPT) indicates the percentage distance to maximum power that can be delivered to the socket. – Thermal Design Current (TDC) indicates the percentage of maximum current that can be delivered by the motherboard regulators once they have been heated to a state through sustained operation. – Electrical Design Current (EDC) indicates the percentage of the maximum current that can be delivered by the motherboard regulators in a peak/transient condition. 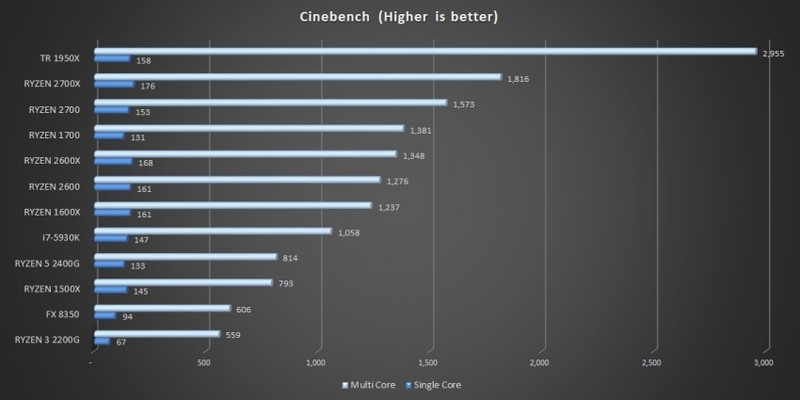 – Fastest Core Detection indicates the fastest cores within each CCX. 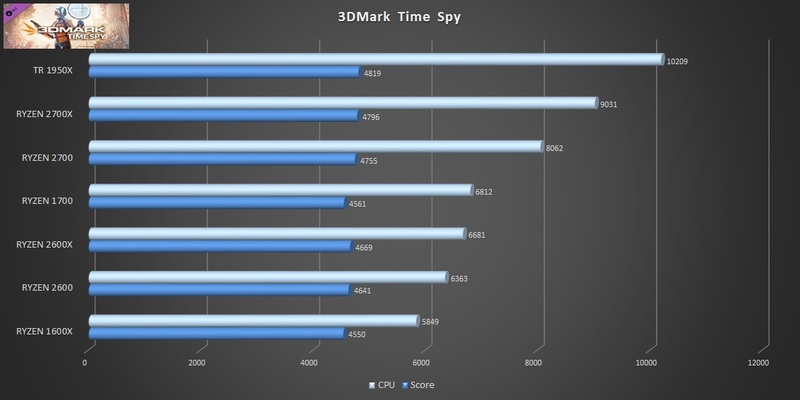 The stars indicate the fastest cores in the CPU, the circles identify the second fastest cores within the CCXes. – Per CCX Overclocking allows people to independently control the clock speed of each CCX. 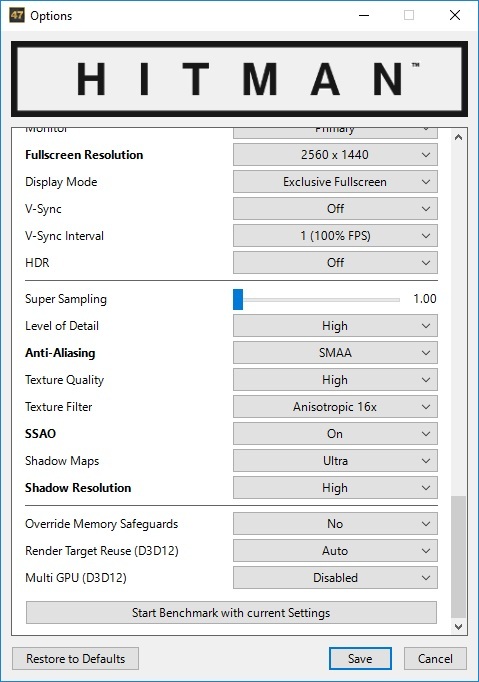 These enhancements won’t appeal/matter to everyone but AMD has at least made an already very useful application even better with more control available to the operator. As with the last generation, we were able to overclock our 2600 and 2700 using just Ryzen Master without going into the BIOS at all. 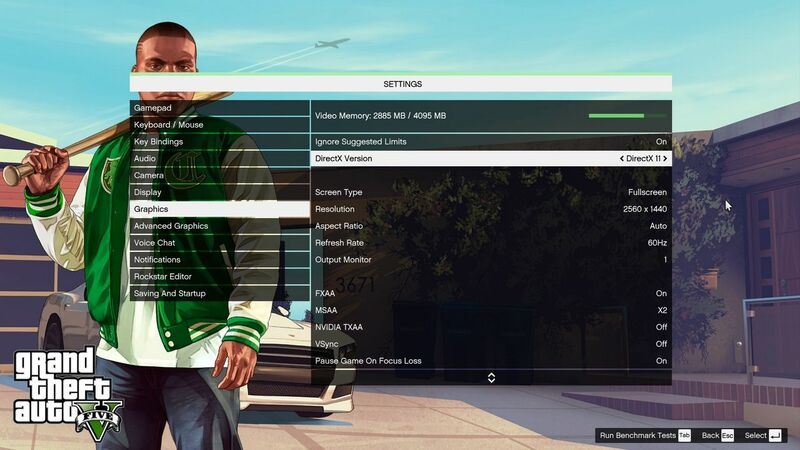 There are two profile slots to save configurations. 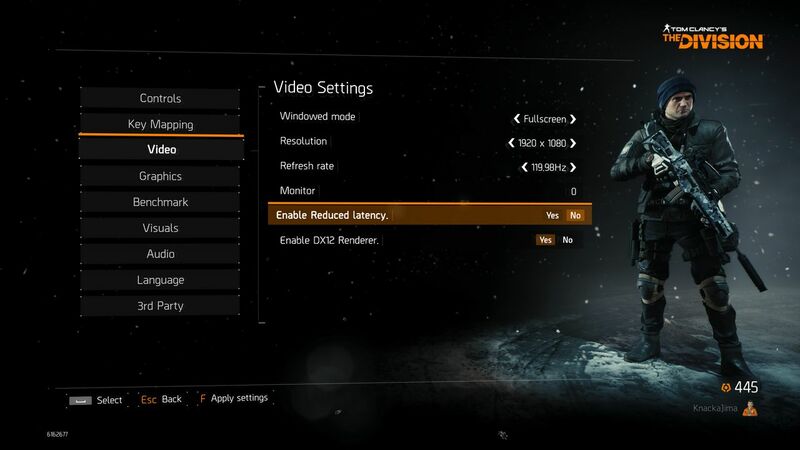 Of course, once you find that sweet spot in Ryzen Master, you can always make the overclock change in your BIOS and not worry about the software application – alternatively you can not bother to install Ryzen Master and just use BIOS. We tested the Ryzen 5 2600 and Ryzen 7 2700 CPUs on the ASUS ROG STRIX X470-F Gaming test bench. 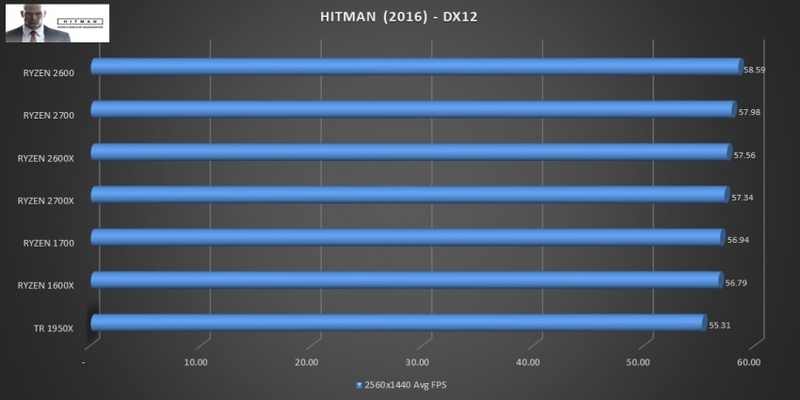 Please note that the 32GB HyperX Predator 2933MHz 4x8GB kit was used to test compatibility only and was not used for benchmarks in this review. 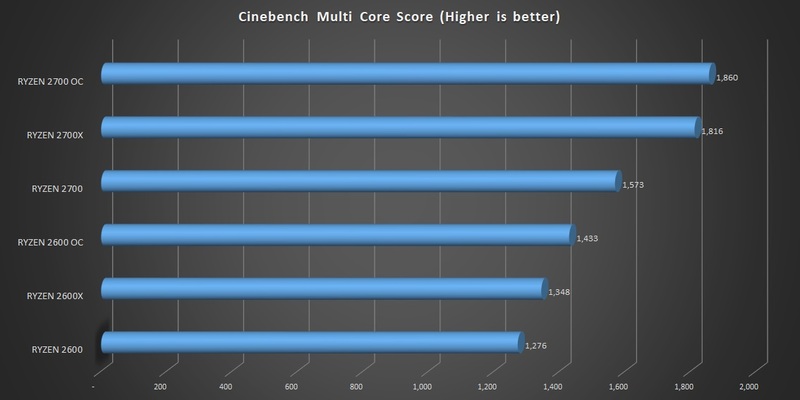 Cinebench is a good way to test both single and multi-core performance. 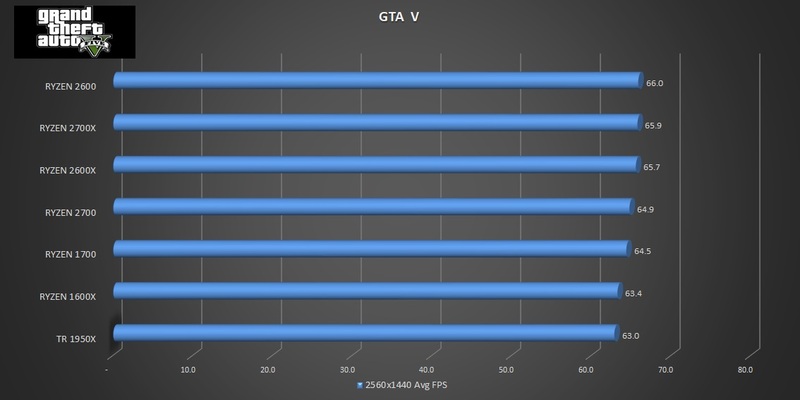 What we see in the graph below is that the new 2700 really pulls away from the Ryzen 7 1700 CPU that it replaces and bridges the gap between the 2600X and the 2700X. 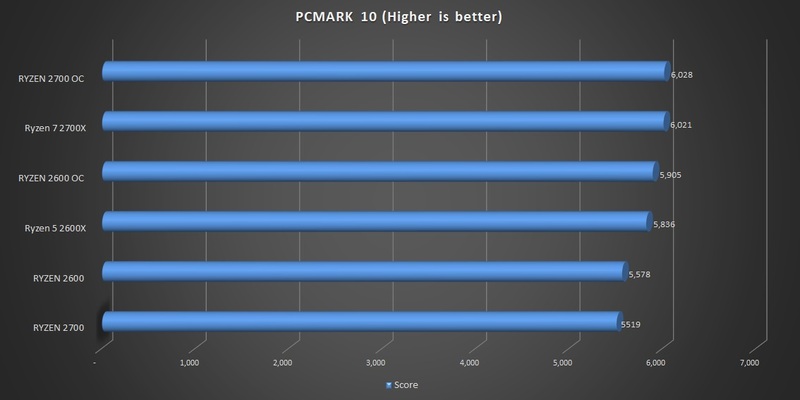 PCMark 10 testing indicates that the benchmark is more appreciative of clock speed before cores count as the results effectively step down based on the stock clock speed of each CPU. 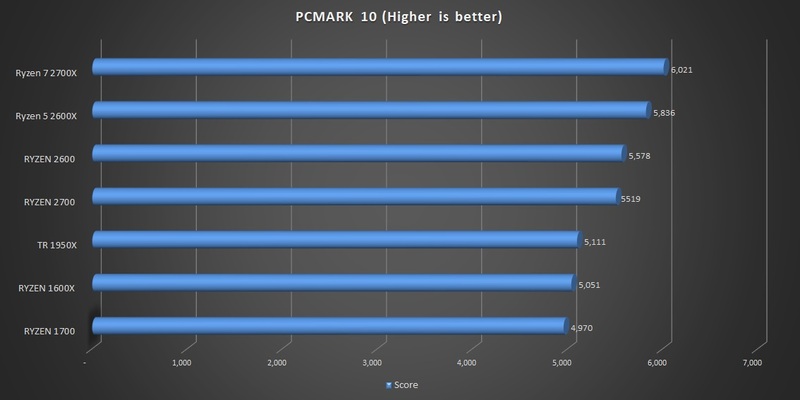 You can download PCMark 10 from Futuremark here and test your setup against our test systems. 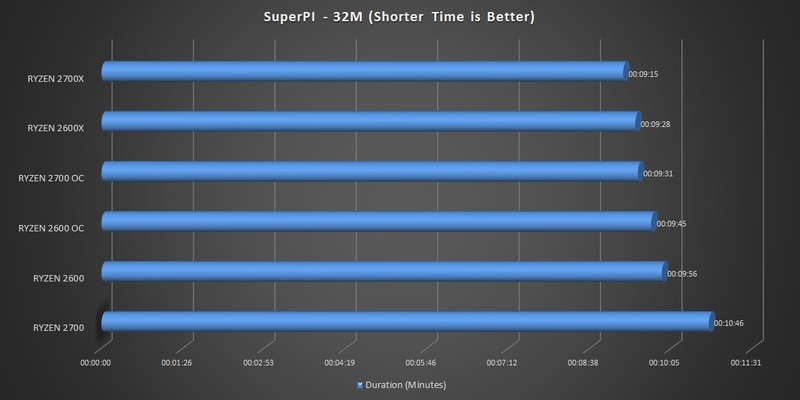 SuperPI is a single threaded benchmark that puts the CPUs into a single core, single thread foot race. 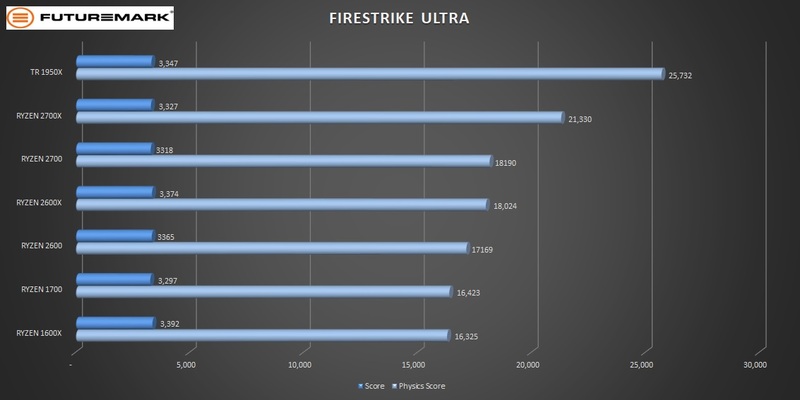 As expected, the XRF-capable 2600X and 2700X take the points with higher frequencies. The encryption benchmarks show marginal improvement between the new and the old Ryzen CPUs. 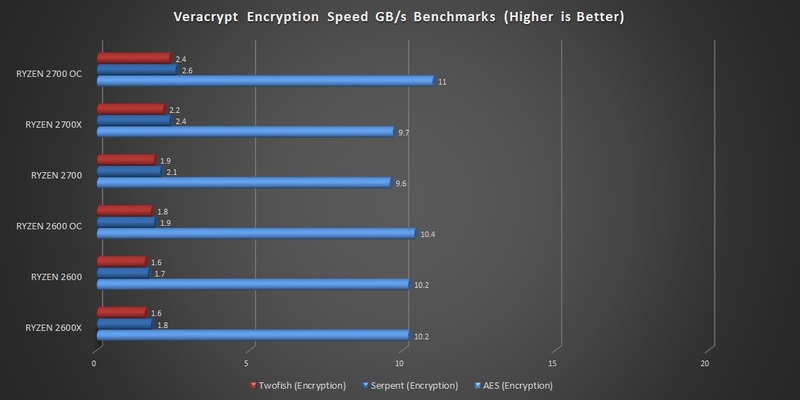 The free Veracrypt application has a benchmark utility that you can run on your own CPU for comparison purposes. 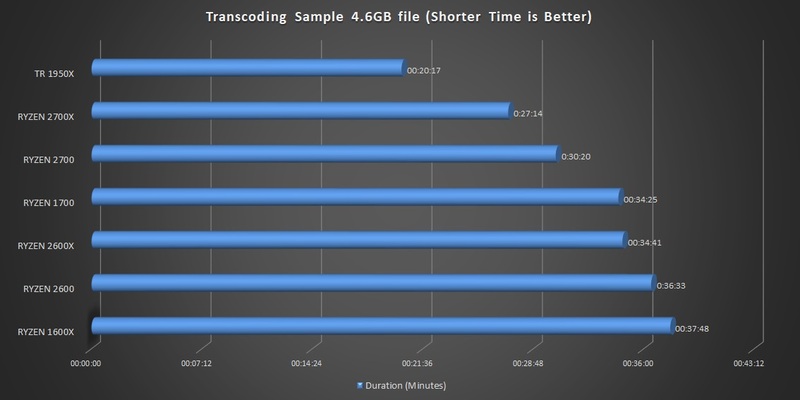 The following graph shows the time taken when using Handbrake to convert the same 4.3GB MKV file to an MP4. 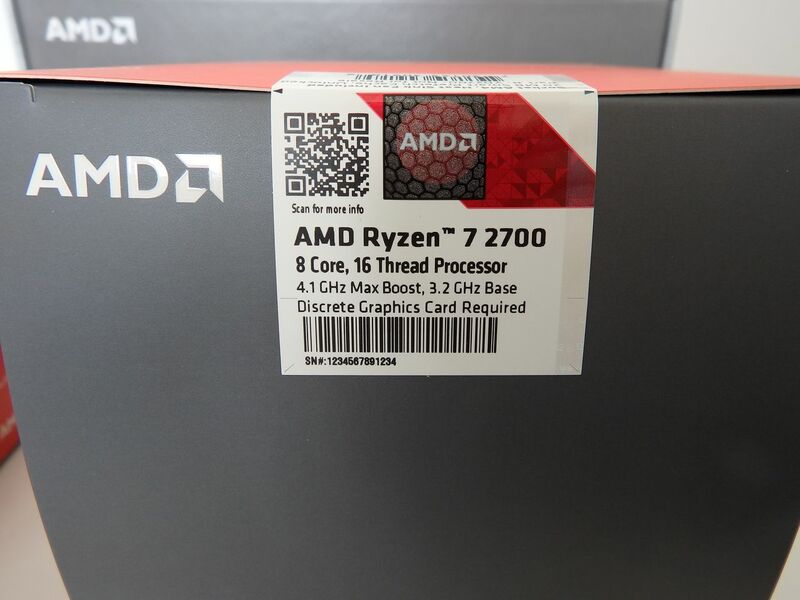 The results here support the value Precision Boost 2 brings to Zen+ with the 2700 completing the task almost 4 minutes faster than the Ryzen 7 1700. 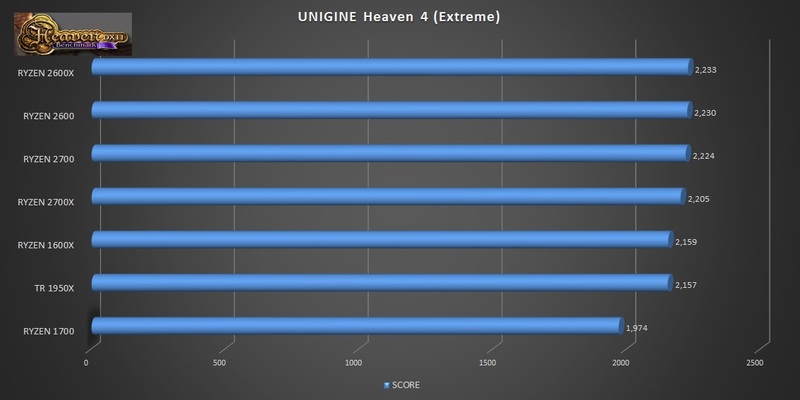 The Unigine Heaven benchmark scores show the Ryzen 1700 CPU as the odd one out with the rest of the field very close together. 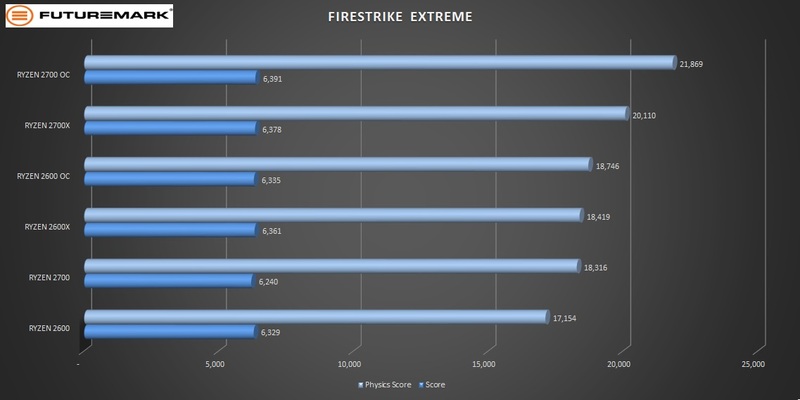 The Firestrike results are consistent and whilst the overall scores are close, the physics scores the improvement in comparative performance of the 2700 over the 1700 again. 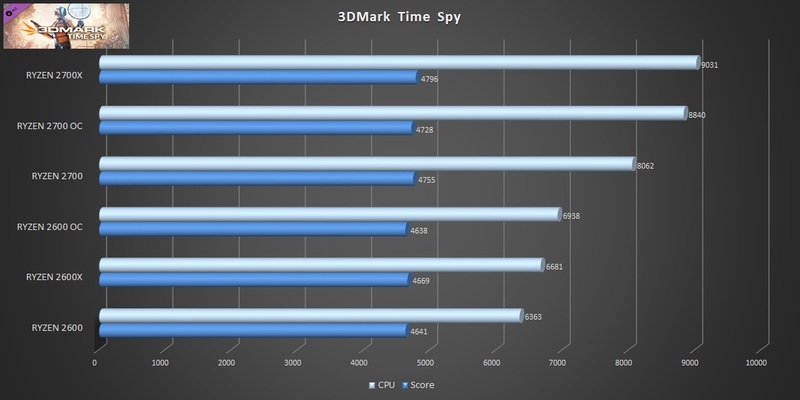 Time Spy also shows the CPU lead that the new Ryzen processors have over the last generation. 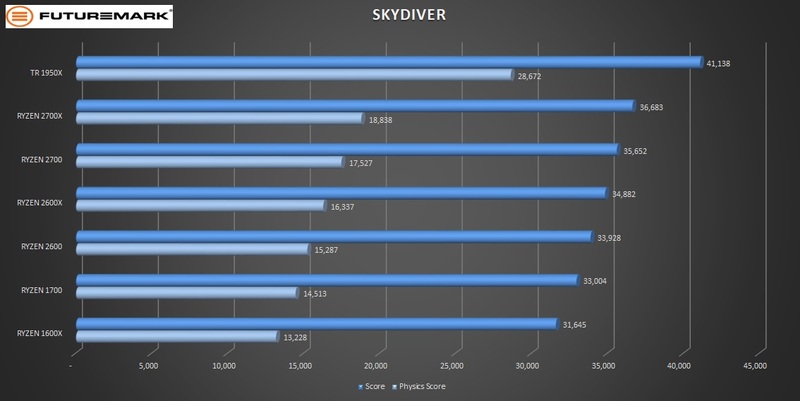 As expected, the scores were tightly matched but the trend was the same as what we have seen in the other tests – despite the difference being within margin for error. 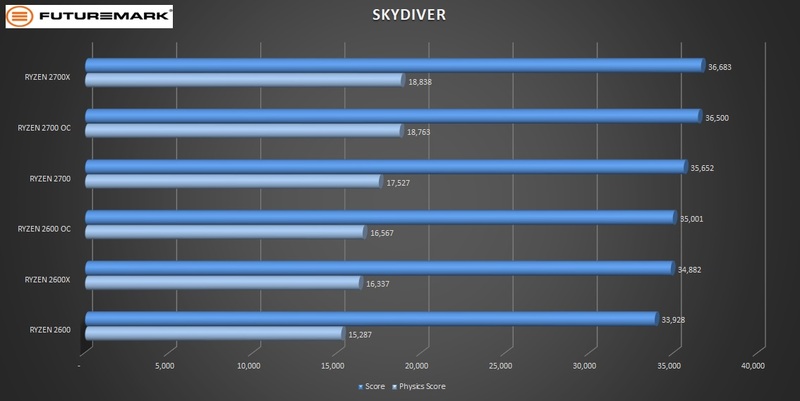 The 2600 and 2700 lead the table by what we would consider margin for error. 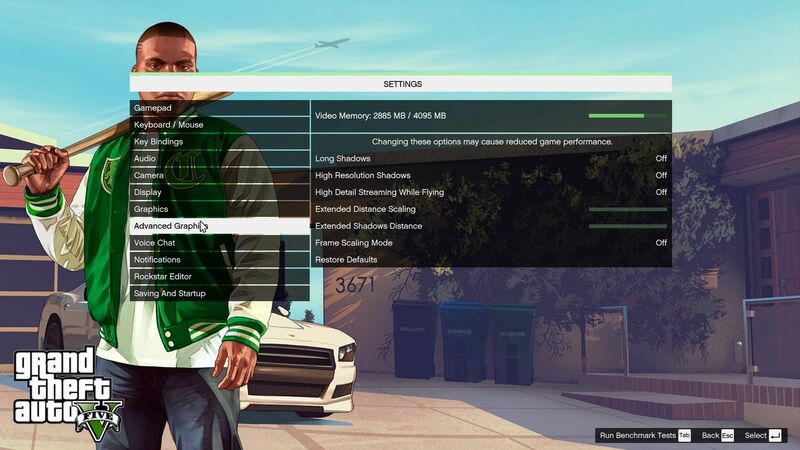 We used the settings as per the gallery below. Whilst the benchmark shows a tight spread here, the CPU usage shows that the 2700 and 1700 Ryzen CPUs are essentially even. Interestingly, the 2600 benchmarks slightly ahead of the 2700 by 1% on the CPU usage and 0.2 FPS in what we would consider a tie. Grand Theft Auto V was tested using the settings below. 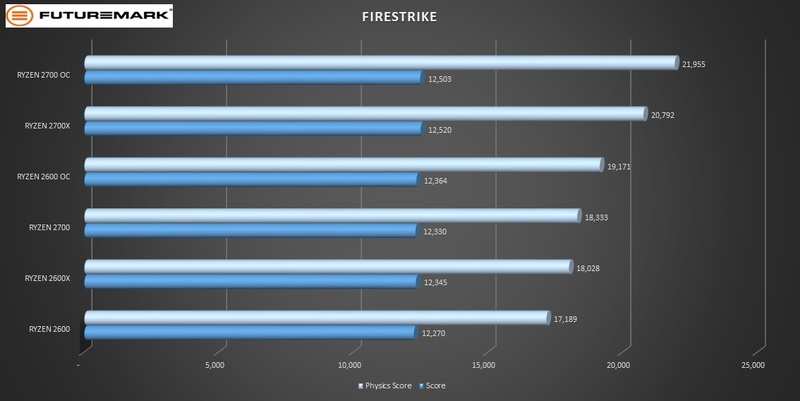 Once again the performance is very close, but the trend is familiar with the second generation Ryzen CPUs at the top. I need to start this section with a cautionary statement. The XFR enabled 2600X and 2700X CPUs are higher binned CPUs and guaranteed to run without issues at their higher rated clock speeds. 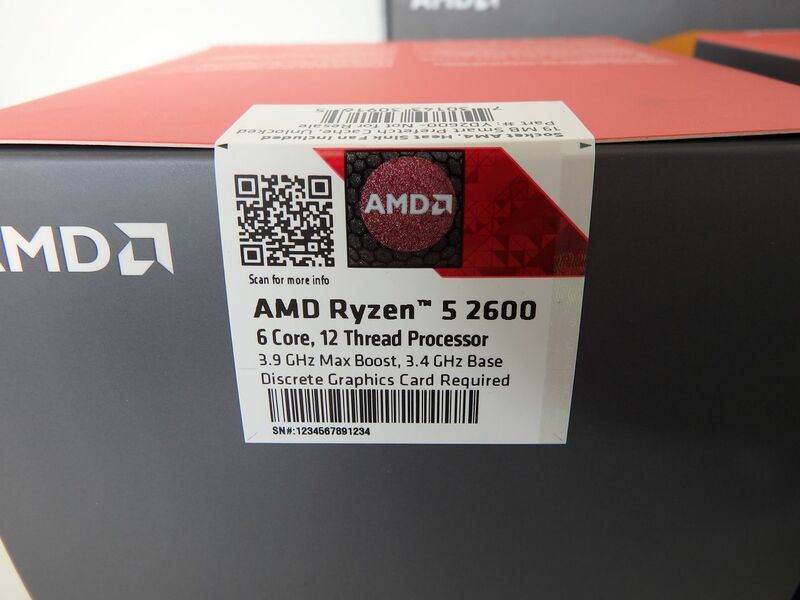 The non-XFR Ryzen 5 2600 and Ryzen 7 2700 CPUs are only guaranteed at their rated base and boost clocks. Our Ryzen 5 2600 gave us a stable overclock at 4.20GHz on all cores at 1.425v and we saw the Ryzen 7 2700 sample hit 4.225GHz across all cores at 1.425v. Both of these overclocks were stable and the EK XLC240 Predator water cooler was able to keep temperatures under control. 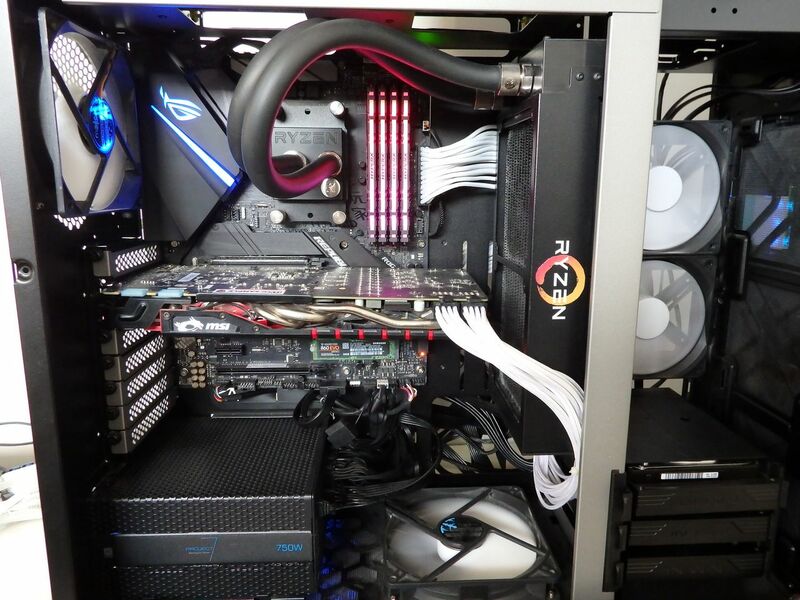 If you plan to overclock, forget the stock cooler. 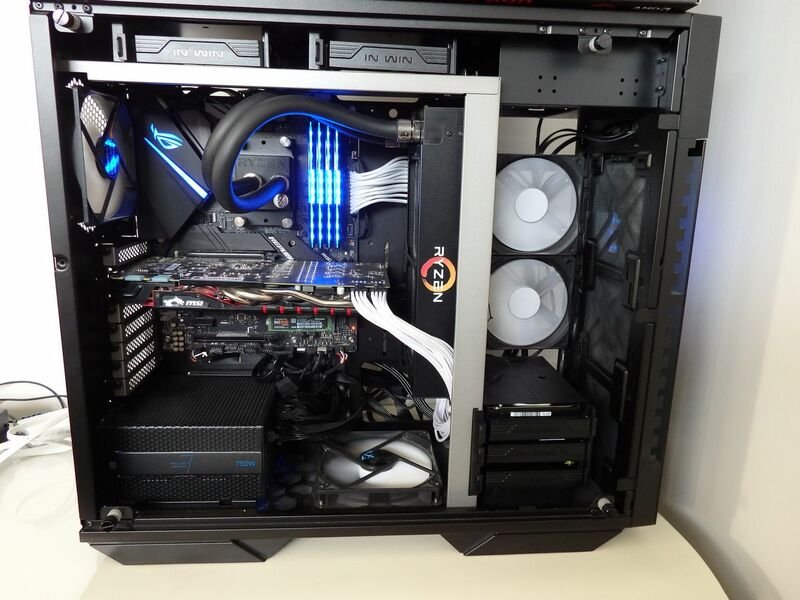 The bundled coolers are adequate for these CPUs in stock configuration, but when it comes to overclocking they need to operate at a level that makes too much noise and doesn’t meet the cooling needs of the CPU. I like the Wraith series coolers and still consider them to be the best stock air coolers I’ve seen, but even they have their limits. 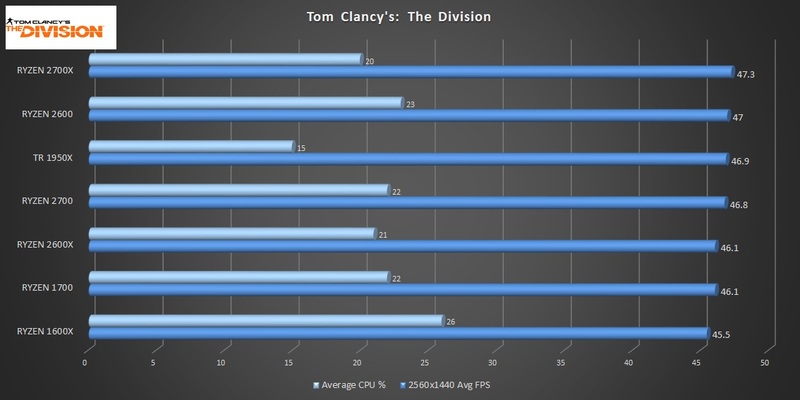 In the results above, you can see that the performance of the overclocked 2600 and 2700 CPUs places them on par or ahead of their XFR enabled and more expensive brethren. Granted, you can try to squeeze a little more out of the 2600X and 2700X but in our review, we found that the headroom wasn’t really there. 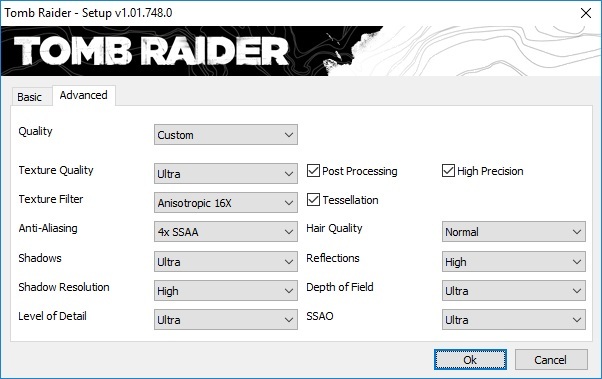 In our experience, if you are happy to take the risk and overclock, the AUD$80 saving by selecting the non-‘X’ CPU could be worthwhile. 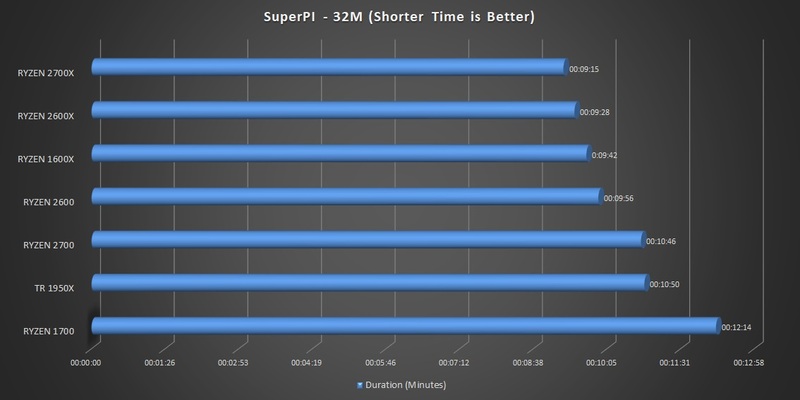 The overclocking results were as we’d hoped/expected. The lack of XFR2 didn’t bother us as we were able to essentially get very similar performance with some quick and dirty overclocking through Ryzen Master. I can’t stress enough that this extra performance is not guaranteed, and the 2600X/2700X are rated at the higher clocks by AMD out of the box so you know what you’re getting, but the 2600/2700 CPUs will require an investment of time, a better thermal solution than the stock cooler and most importantly, a little luck with regard to your chip itself. 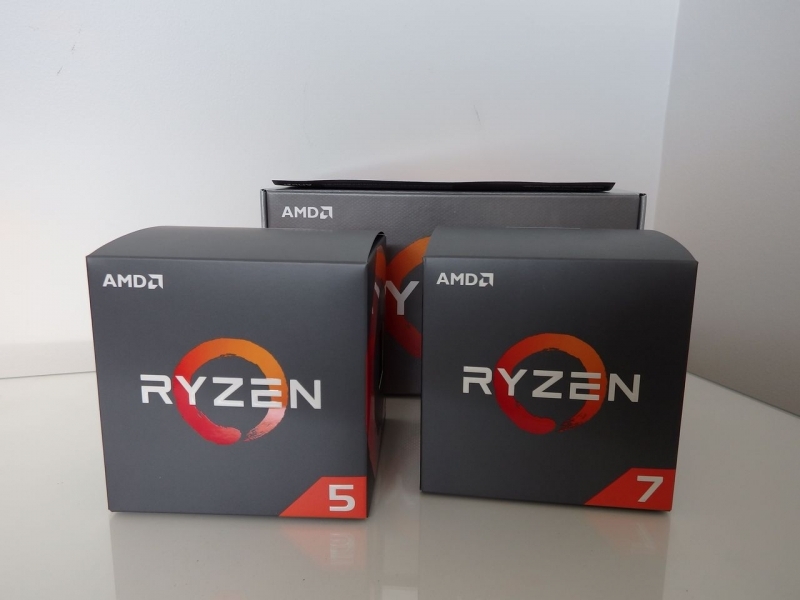 This is where the potential value of the Ryzen 2600 and 2700 showed up based on our review samples. 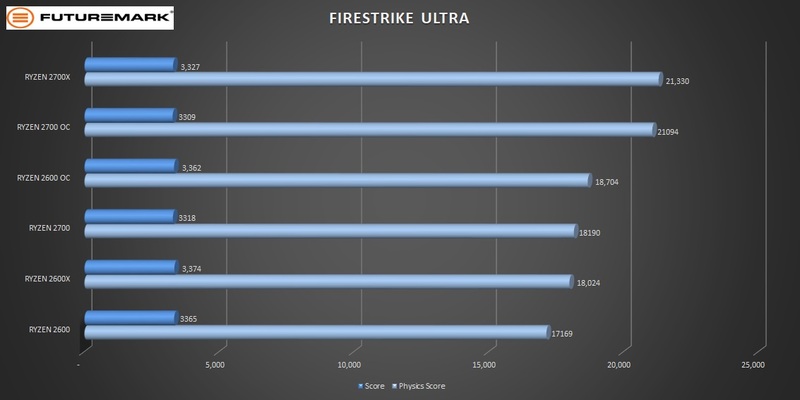 The performance we saw with the clock speeds and benchmarks essentially bridged the gap between the non-overclocked XFR enabled 2600X and 2700X CPUs. Whilst the Ryzen 2nd Gen XFR CPUs can be overclocked a little, they don’t have the headroom of our 2600 and 2700 review samples. The Wraith Stealth is bundled with the Ryzen 5 2600 and the Wraith Spire LED comes with the Ryzen 7 2600. To be blunt, these coolers are adequate for use with stock settings and the Spire LED isn’t loud. The Wraith Stealth was more audible under load but still ok if not overclocking. 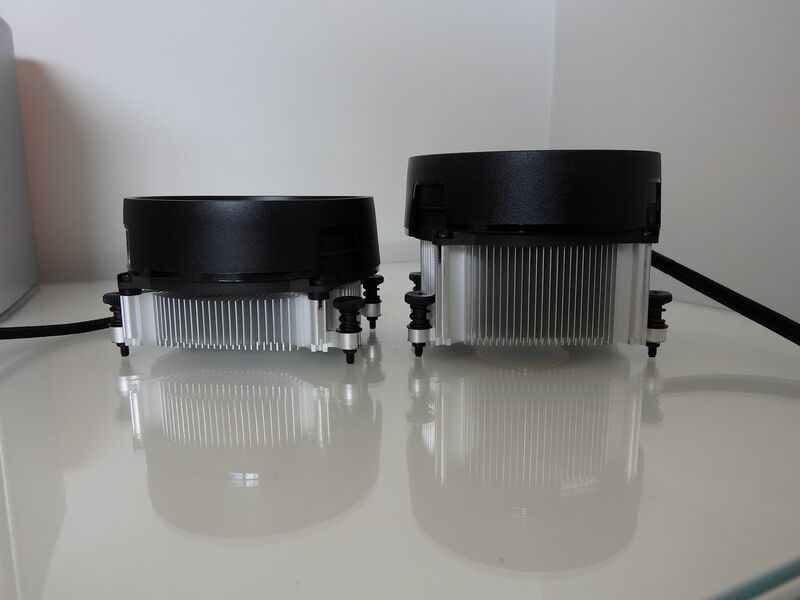 For people that buy either of these CPUs and just want to build a stock PC and use it, the stock coolers will suffice but to really do these CPUs justice, after-market cooling is the way to go. 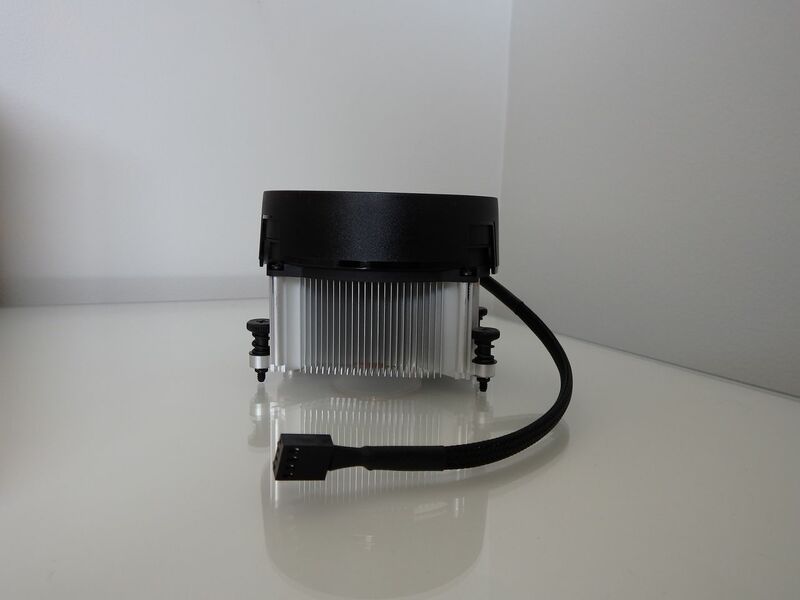 Consider a quality air cooler like the Noctua U12S or U14S or an AIO 240mm water cooler. 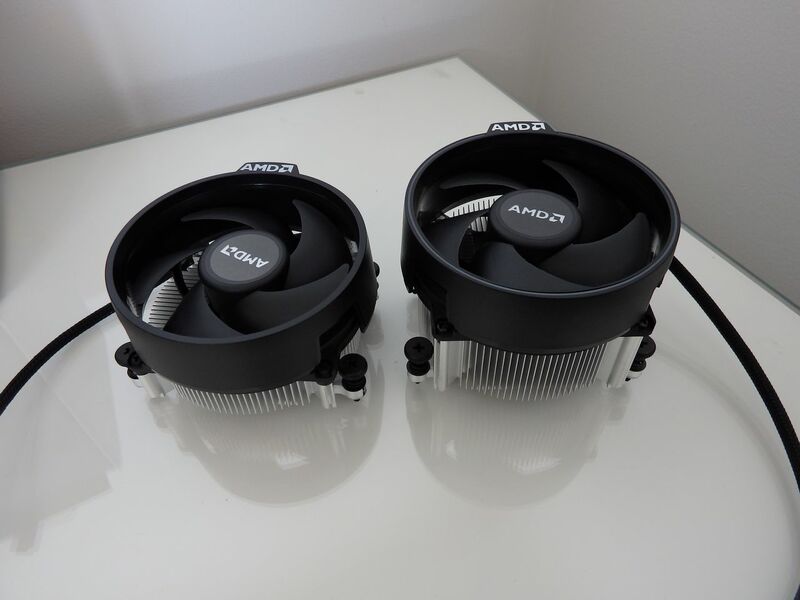 The lower noise profile is noticeable and these will provide some thermal headroom for overclocking. 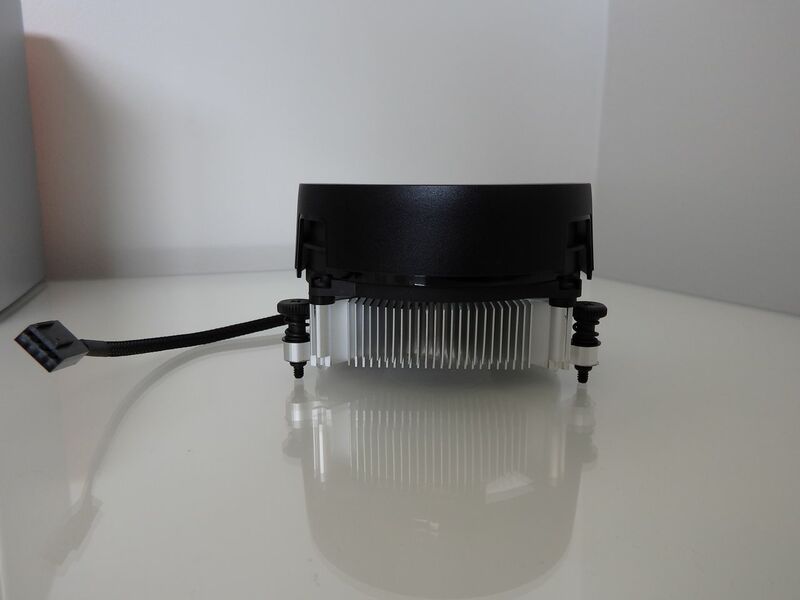 For benchmark testing, we used the EK XLC-240 Predator AIO water cooler with Noctua NT-H1 thermal compound. 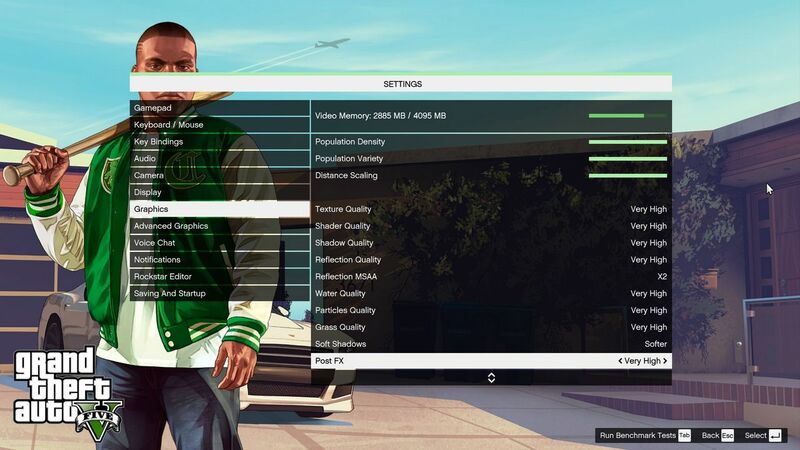 This provides the best conditions for the CPU to perform. 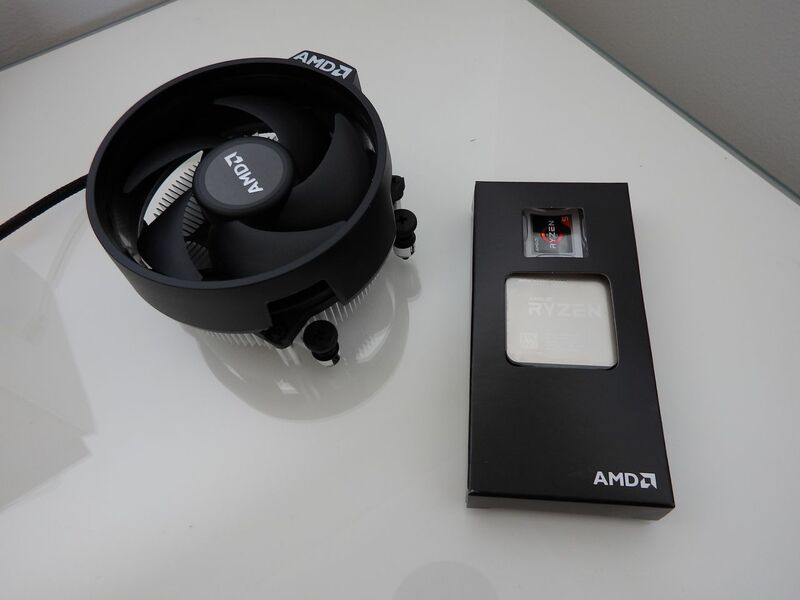 When comparing the Ryzen 7 2700 to its predecessor, the 1700, we couldn’t help but be impressed. It’s faster, taps into more cores when it engages the boost clocks and has better memory compatibility. This is a clear step forward for Ryzen as a product. The pricing of these CPUs is also competing and brings 12 and 16 thread performance to a much more affordable level without restricting the additional value to be had from overclocking. 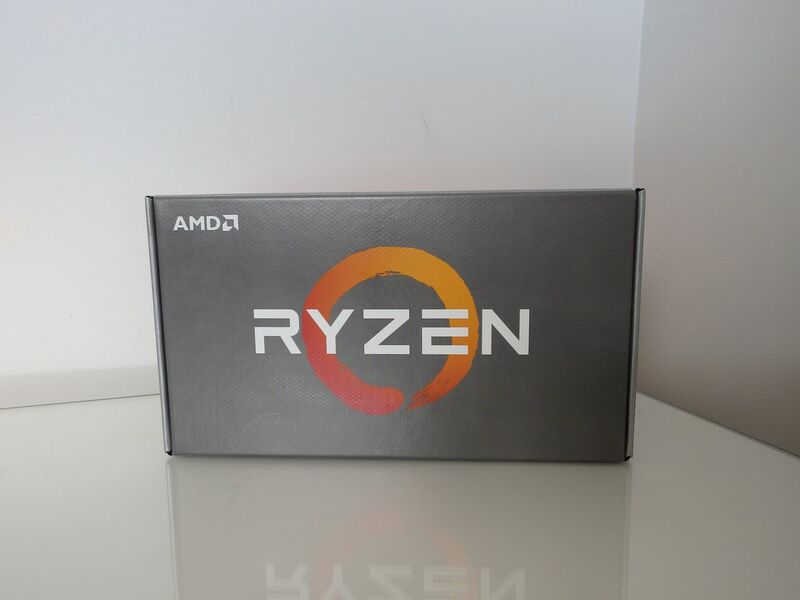 For those needing an upgrade and who held off on AMD’s first generation Ryzen CPUs, now could be the time to pull the trigger for a Ryzen system. Ryzen Zen+ is more polished and you can’t go past the multi-core value of the 2600 and 2700 CPUs.